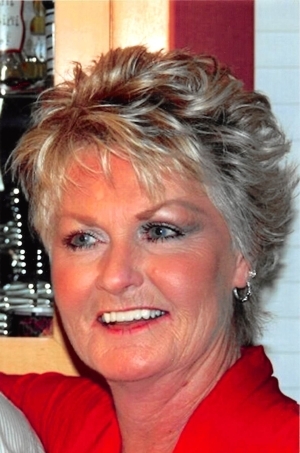 Bonnie Lou Morgan Ronayne, age 67, of Louisville, Kentucky, passed away Monday, September 10, 2018 in Louisville. Born Thursday, April 29, 1951 in Louisville, she was the daughter of the late Boyd and Mary E. Mitchell Morgan. Her loving husband, whom she married March 29, 1975, is John Donald “Don” Ronayne, Jr. Bonnie retired from Haverty’s Furniture in Louisville as a showroom coordinator. She was a karaoke extraordinaire, a seamstress, loved crafts and loved going to the lake to fish. In addition to her husband, Bonnie leaves behind four children, Cheri Michelle Powers (Mark) of Louisville, Justin Todd Crawford (Jessi) of Liberty, Kentucky, Pamela Jo Tucker (Chad) of Madisonville, Kentucky, and John D Ronayne III (Allison) of Mount Washington, Kentucky; eighteen grandchildren; five great- grandchildren; four brothers, Jim Board (Peggy Jo) of Stanford, Kentucky, Dale Board of Kings Mountain, Kentucky, Ronnie Morgan (Nancy) of Cincinnati, Ohio, and Donie Morgan (Nancy) of Mt. Orab, Ohio; two sisters, Sue Ann Pearson (Ken) of West Chester, Ohio, Doris Yaden (Jerry) of Franklin, Indiana. In addition to her parents, she was preceded in death by one sister, Mary Helen Burton. A Funeral Service will be held 2:00PM Saturday, September 15, 2018 at Mt. Moriah Christian Church with Jamie Board officiating the service. Burial will follow in Salyers Cemetery. John D. Ronayne III, Justin Crawford, Chad Tucker, David Hack, Michael Chesser, Cody Crawford, Cameron Crawford , and Mark Powers will serve as Active Pallbearers. Visitations will be held 5-8PM Friday, September 14, 2018 and 10AM-2PM Saturday at the church. Memorial Contributions suggested to American Cancer Society, PO Box 22478, Oklahoma City, OK 73123.